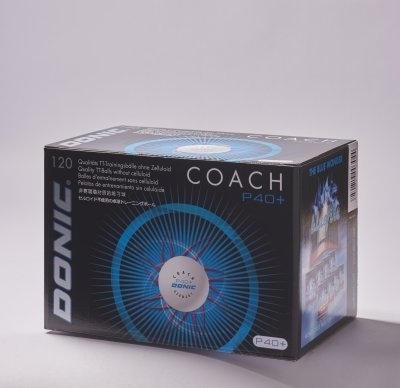 **SALE 25% OFF - NEW 2016** New training table tennis ball from Donic. The perfect, inexpensive choice for training purposes. Topspin recommended table tennis training ball. Training ball also now available in Orange. Plastic with seam training balls. Quantity: Carton of 120 balls.